Costa Blanca Villas – Upgrades galore for less than a base new one! 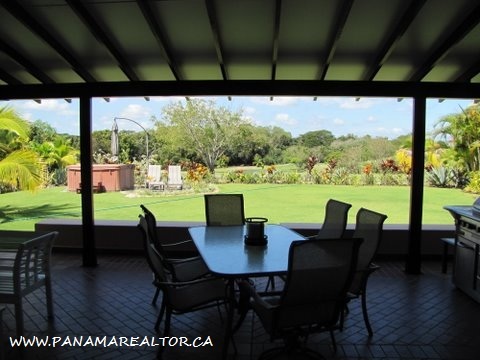 Panama’s tropical climate allows for year round outdoor entertaining on the large covered terrazza with gas outlet for tank-less no hassle barbeque. The large custom 12 foot vaulted covered terrazza features Hunter ceiling fans, light fixtures and electric outlets that make outdoor entertaining or just relaxing a pleasure. 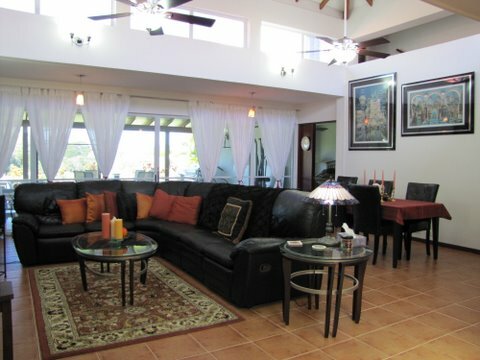 The Villa is wired for high-speed Internet and cable TV as well as Satellite TV. Attention to detail defines the fine amenities of Villa 138 Costa Blanca. 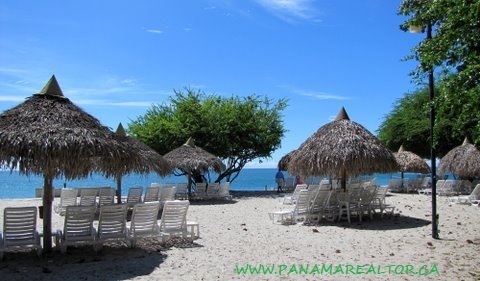 And when you’re not playing golf there are 2 lighted Tennis Courts, Horseback riding, Para-Sailing, Wind surfing, Sailing, Kayaking, Snorkeling, Jet Skis, Scuba Diving, and Deep Sea Fishing, Dinner Cruises, Sightseeing and more in the world-class sport fishing waters of the Bay of Panama. This beautiful spacious Costa Blanca 4 bedroom Golf Villa (3,203 square feet covered living space, with 925.69 square meter lot) is located on what is known as “Millionaires Row”, a lovely lushly gardened street that is exclusively “Villas only”, the only street in Costa Blanca with no townhouses and minimal traffic. 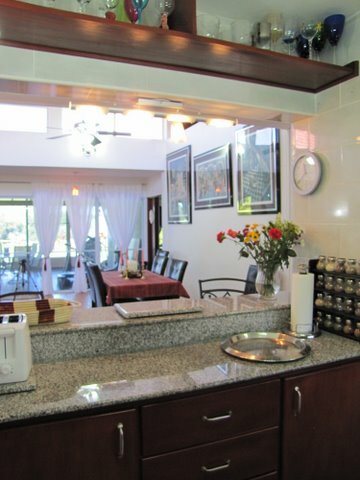 It is a prime location in the community, far enough from The Decameron Hotel for privacy but, close to the beach and facilities. 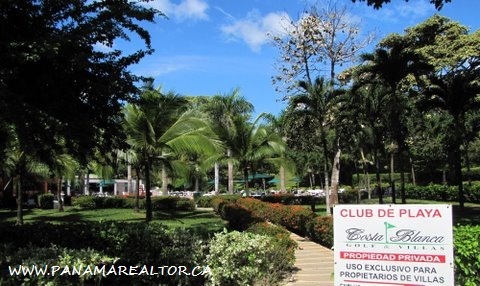 The large rear yard has a breathtaking rainforest view, as well as being located on the 7th fairway overlooking the lake. The 2nd floor Master Bedroom Suite has all this plus a mountain view to add to its beautiful. A spacious pantry and storage room has been added with vaulted ceiling fan which can also be used as an office or extra bedroom. Additionally, a custom loft storage space has been added. Smoke alarms and upgraded GE “Whole House” surge protection have been installed. 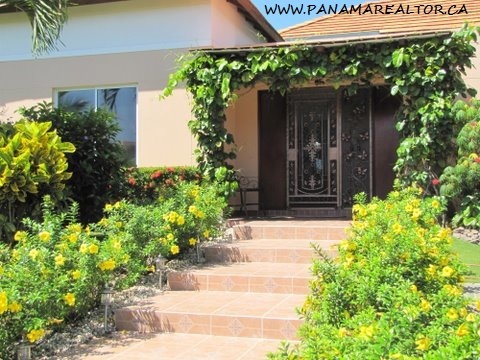 The Villa has lush tropical landscaping throughout the property. A backyard sunning patio has been added. A 6 person Hot Tub is wonderful under the stars. A large cantilevered solar umbrella provides daytime shade if desired.